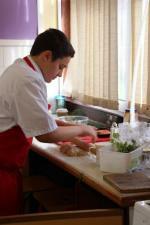 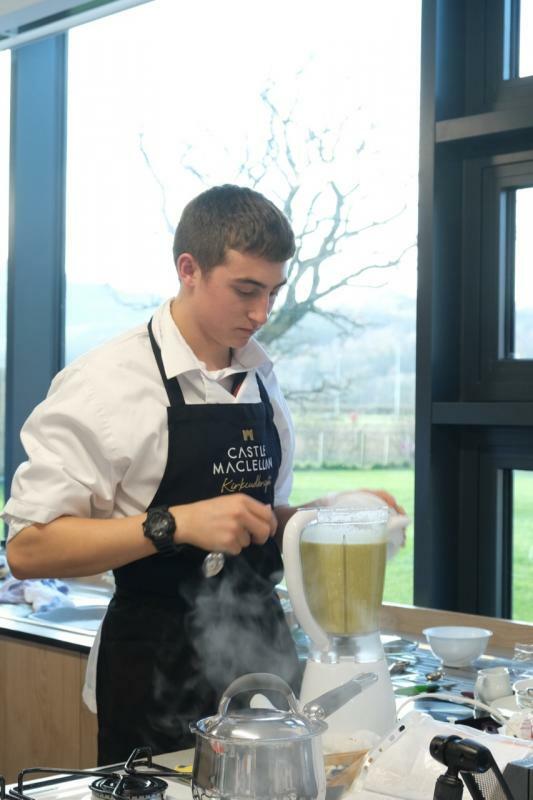 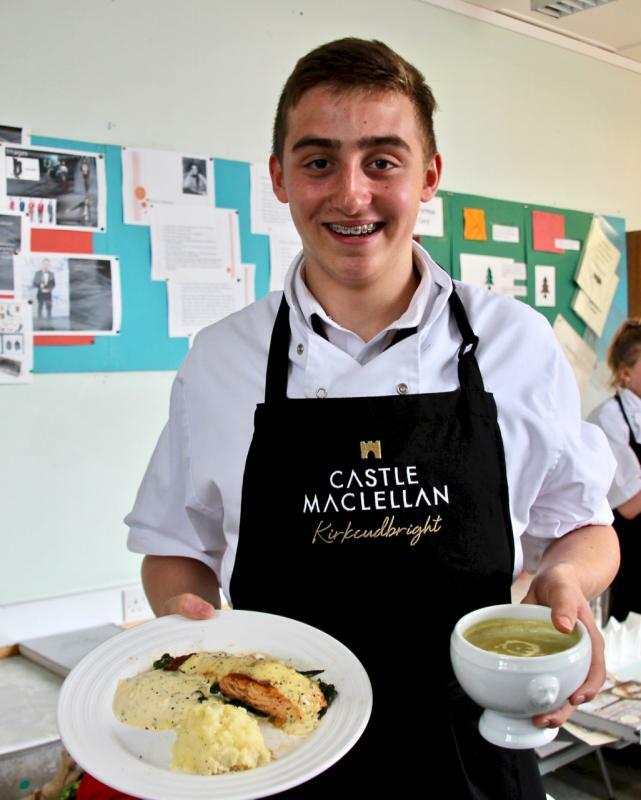 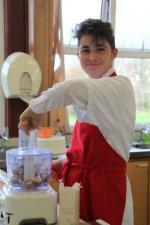 Classroom culinary skills helped Stephen Dale-Sunley become Kirkcudbright Academy's top young chef. 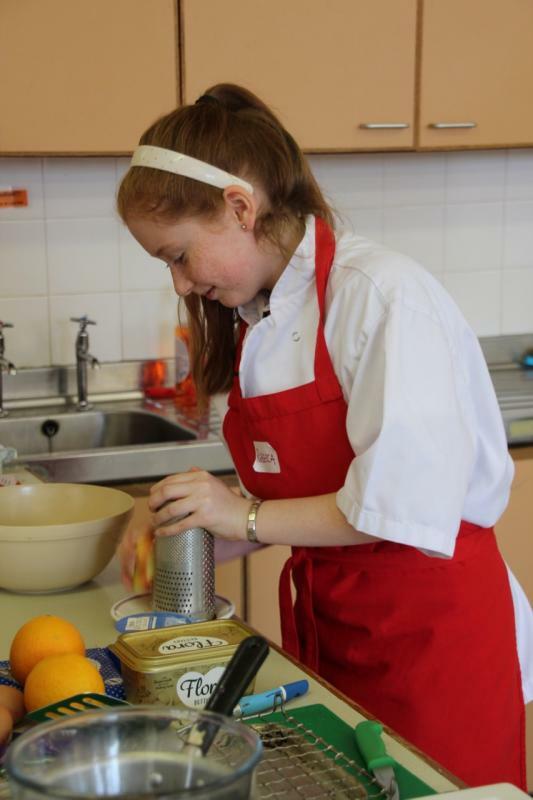 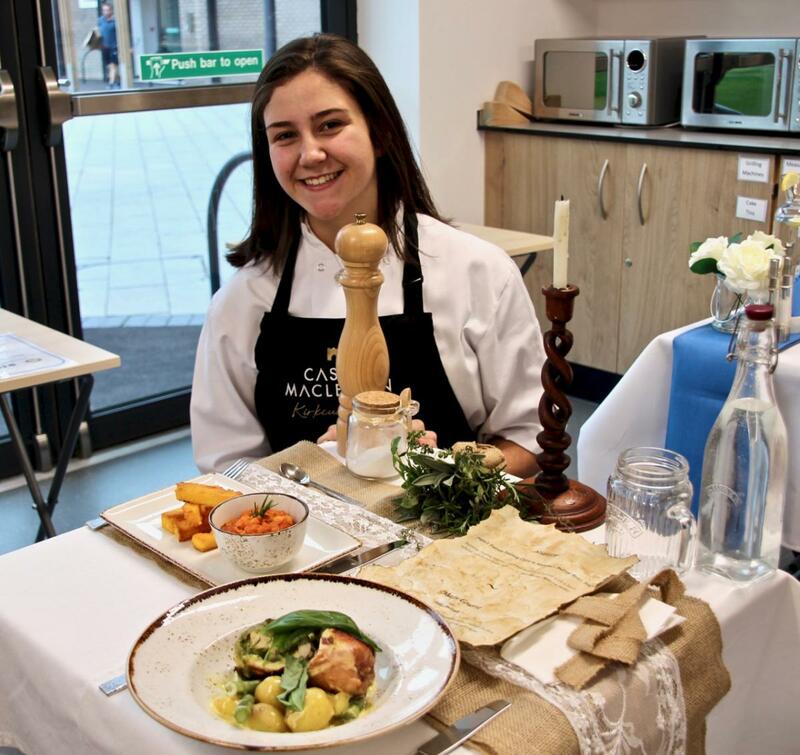 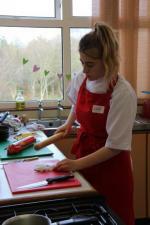 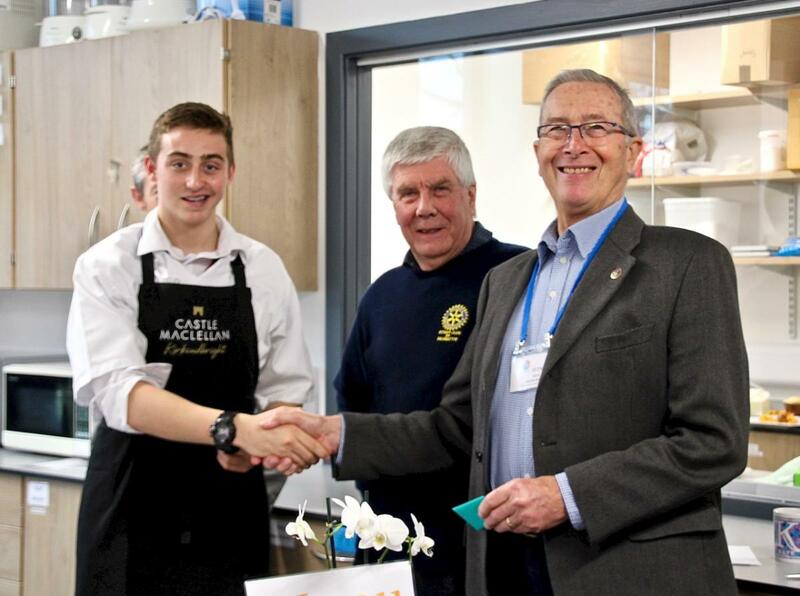 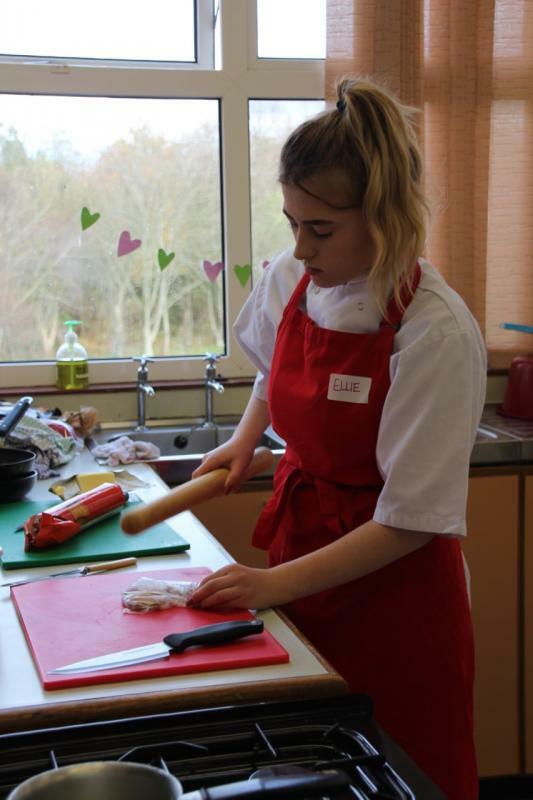 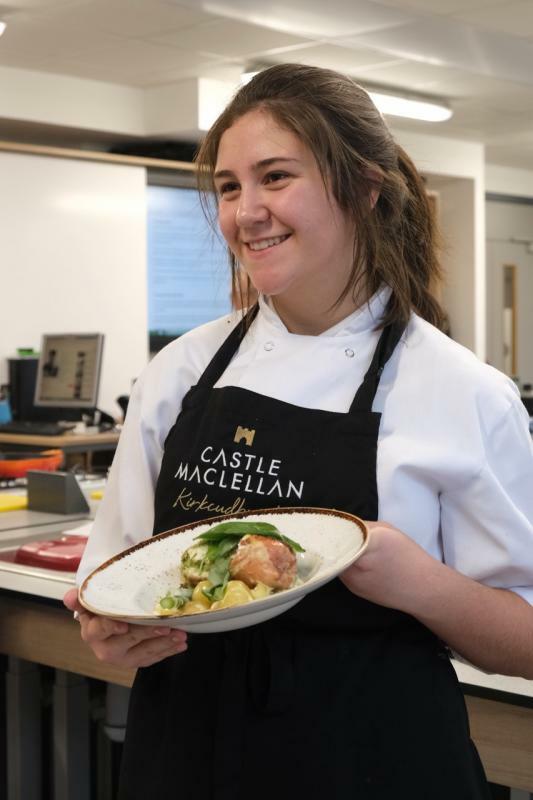 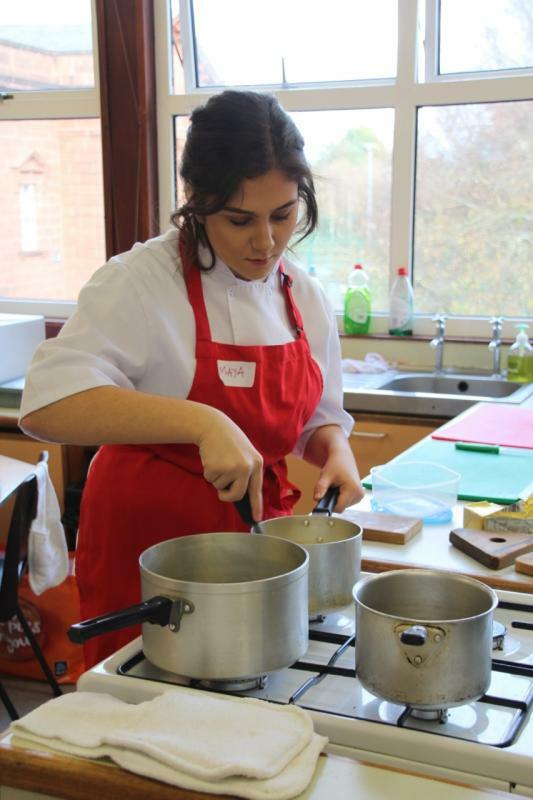 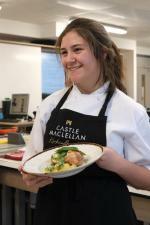 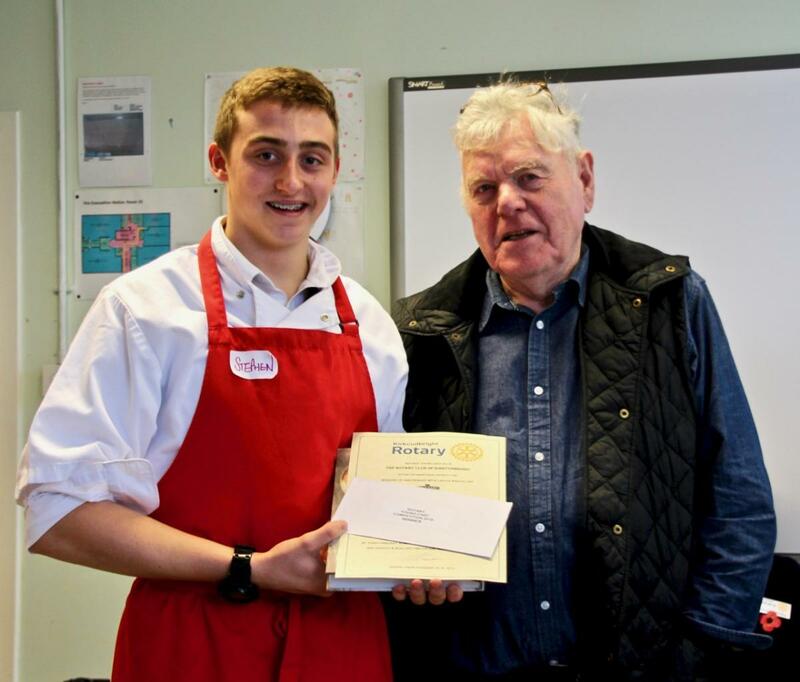 The S4 academy pupil wowed the judges in last week\s Rotary Young Chef competition organised jointly by the Rotary Club of Kirkcudbright and Kirkcudbright Academy. 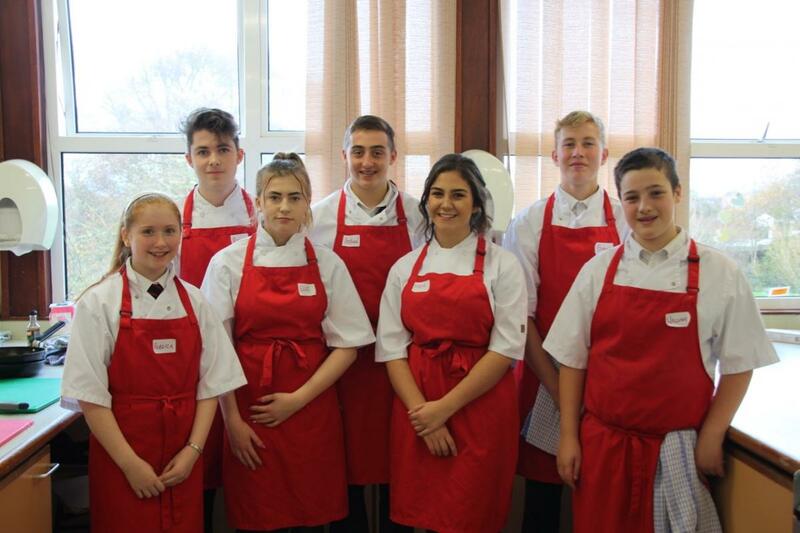 The seven senior pupils who took part each cooked a two course meal for two using local ingredients, all for under £10 paid for by the local Rotary Club. 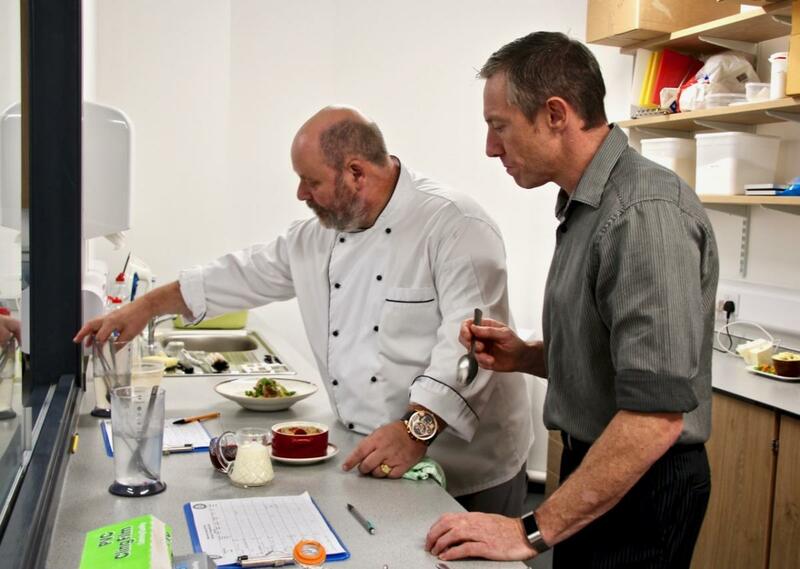 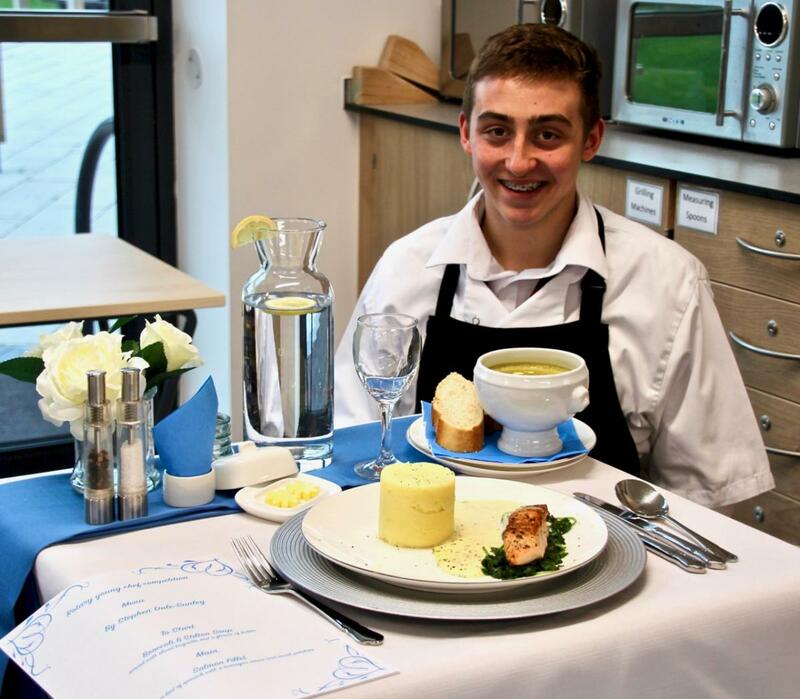 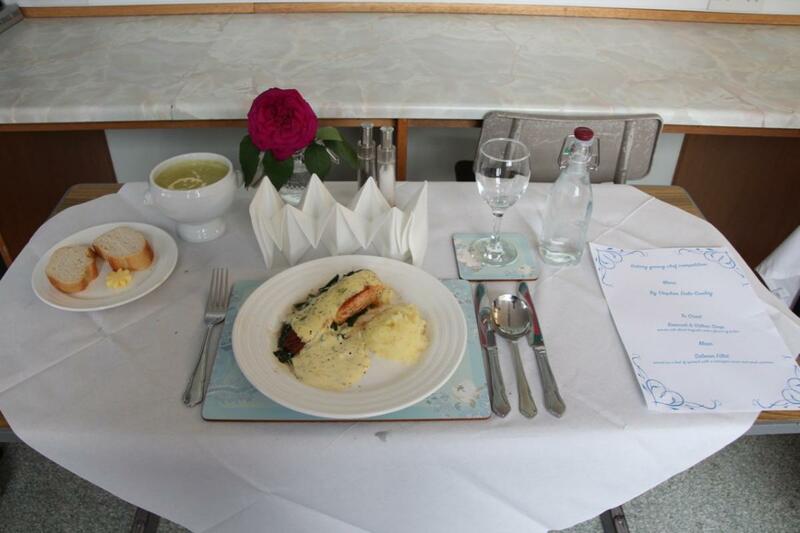 Stephen's winning menu was a starter of Broccoli & Stilton soup, followed by a main course of Poached Fillet of Salmon. 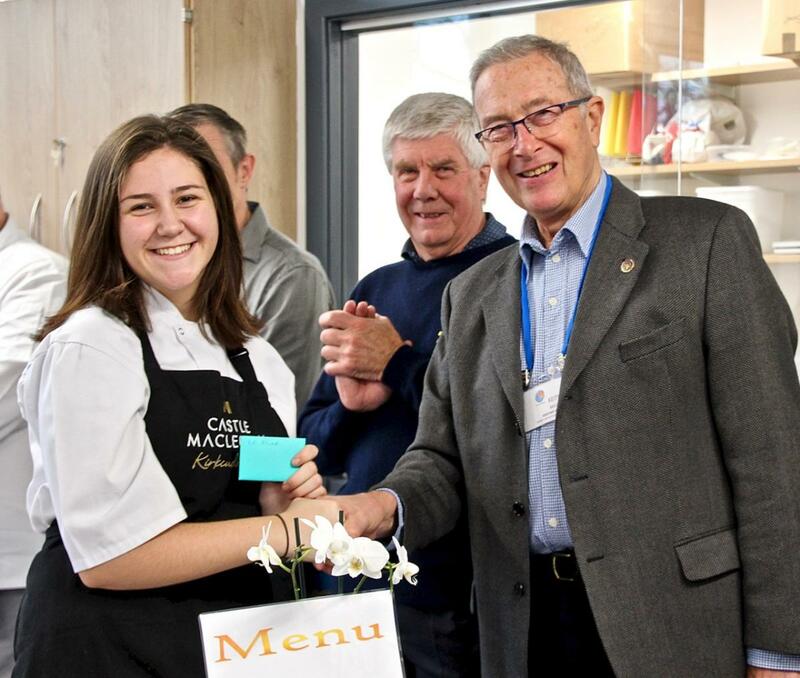 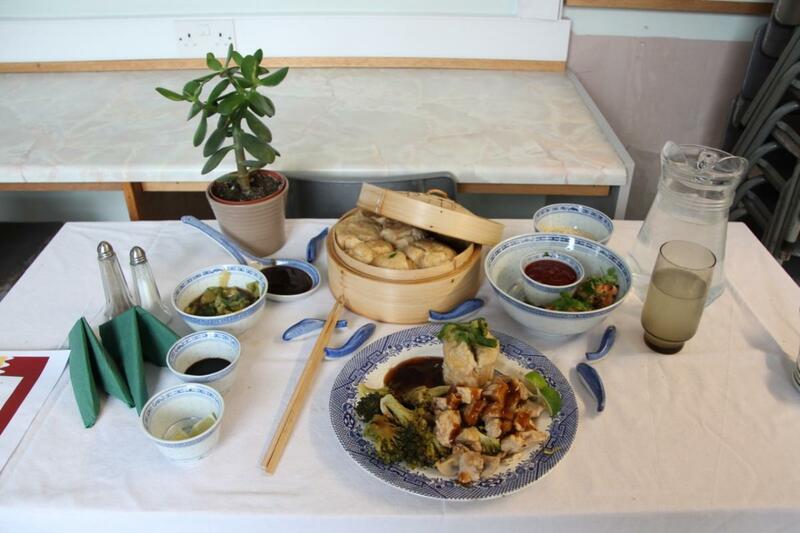 Runner up was Maya Johnston of S4, who also won Best Table Setting. 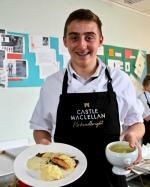 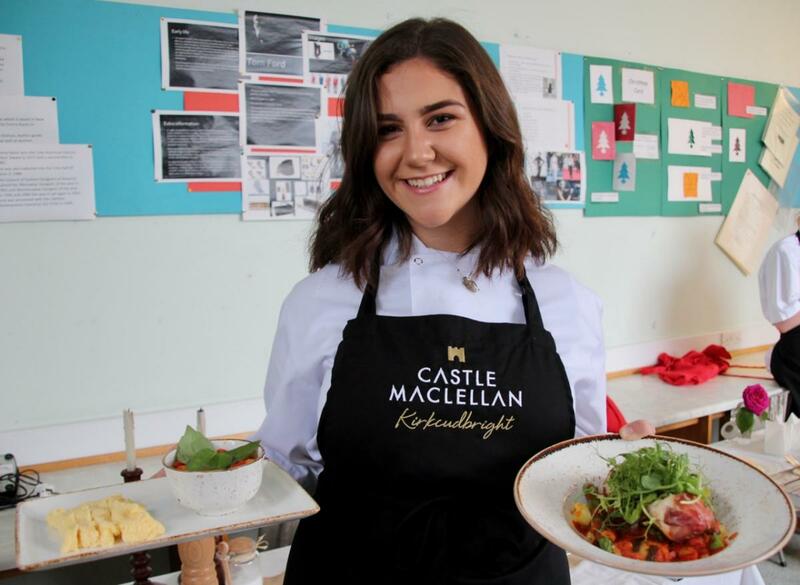 Castle MacLellan Foods Ltd of Kirkcudbright were very generous in providing cash prizes and cookery books, with every competitor receiving a Castle MacLellan apron. 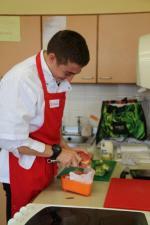 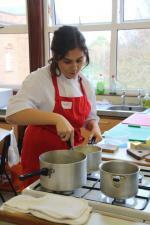 Stephen and Maya will also get the opportunity to spend a day in their kitchens with the development chef. 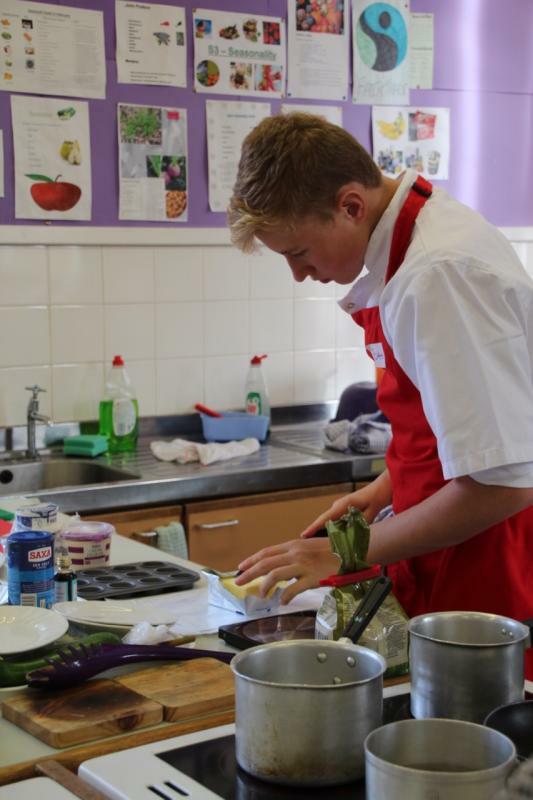 The young chefs are judged on their healthy menus, planning, preparation skills, hygiene and of course the taste and presentation of the final dishes. 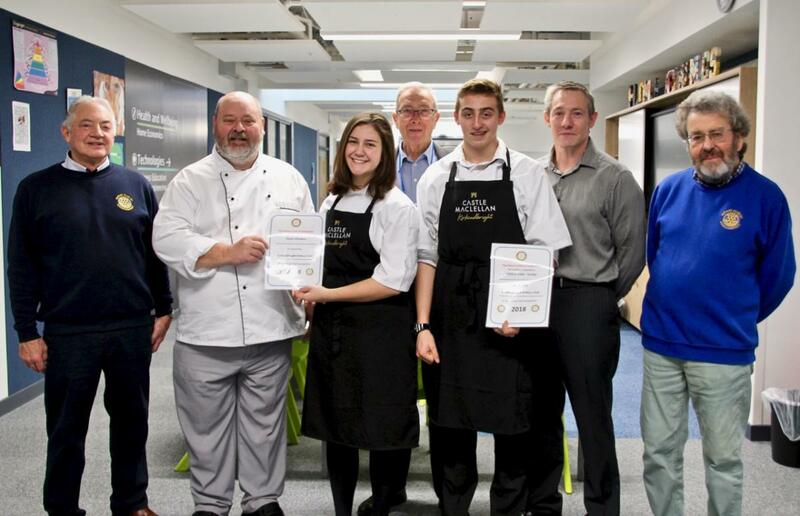 The two judges were, local chef Paul Wilkinson from the Castle Bistro in Kirkcudbright, and Tony Budde, resident Chef at Dumfries & Galloway College. 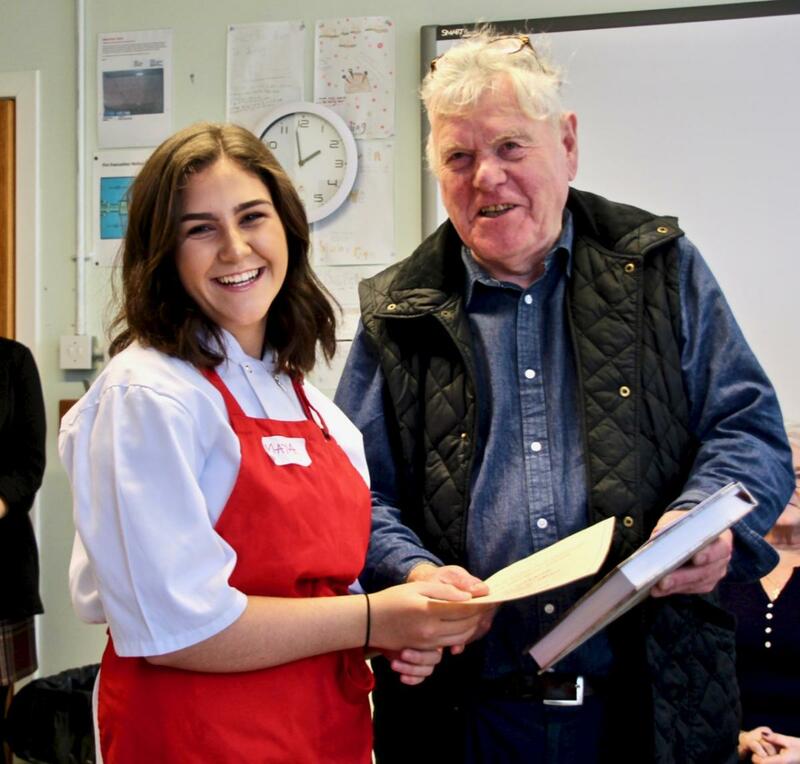 Both were very impressed by the dishes produced by the students and by the Academy Home Economics Dept, for continuing to develop the now well established tradition of talented young chefs. 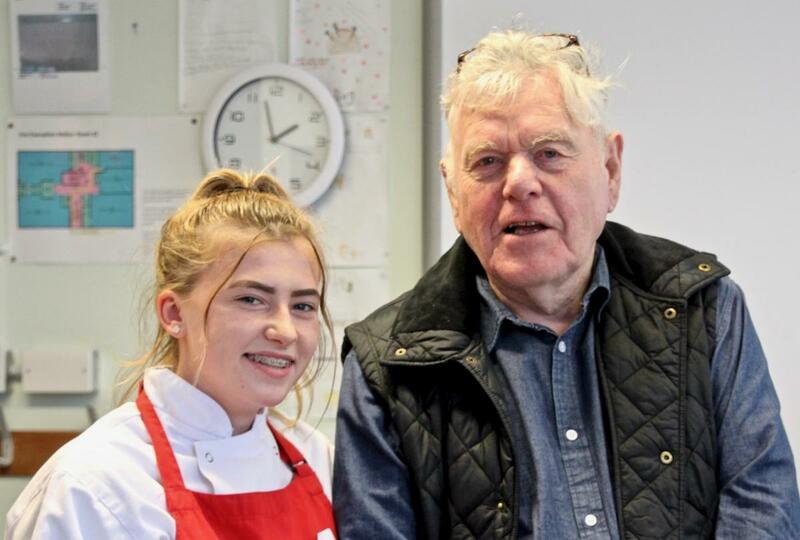 Stephen and Maya now go on to the Rotary District 1020 Area Finals being held at Dalbeattie High School on Thursday 15th November, with the chance of progressing to the District, Regional and finally the National competitions. 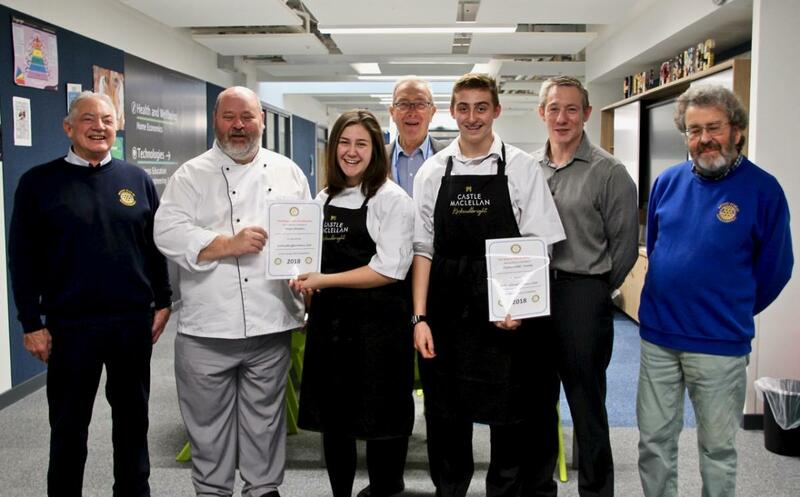 BREAKING NEWS....ROTARY YOUNG CHEF AREA FINALS. 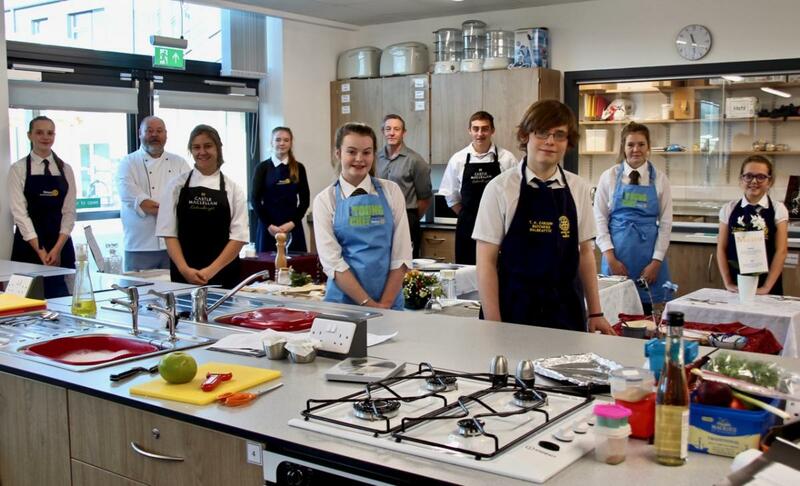 Dalbeattie Rotary hosted at the Dalbeattie Learning Campus the Rotary Young Chef 2018 Area Finals. 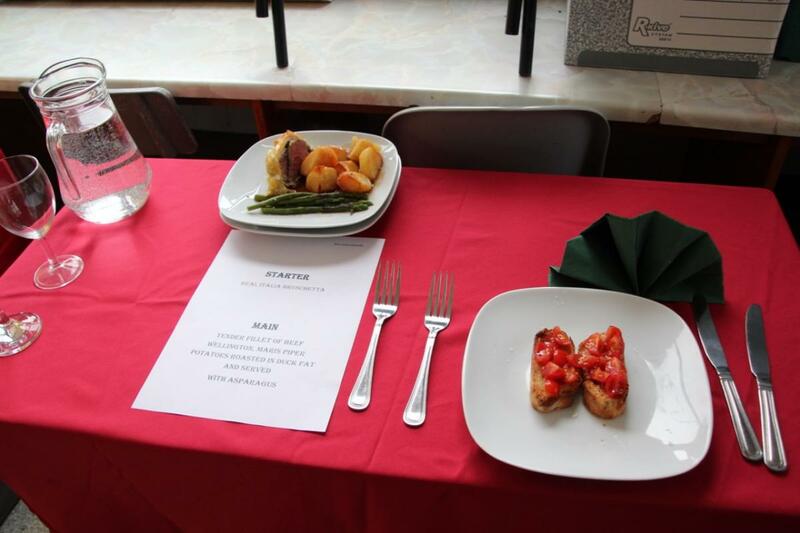 The judges Tom Kirkpatrick and Martin Avey had a most difficult task with the standards being exceptionally high. 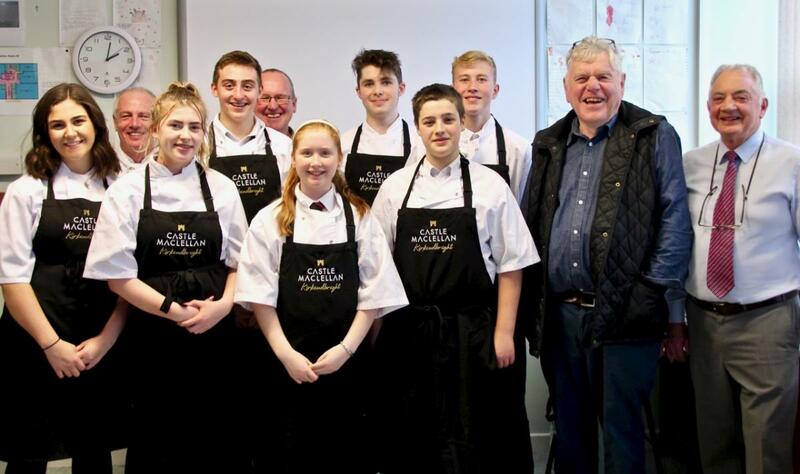 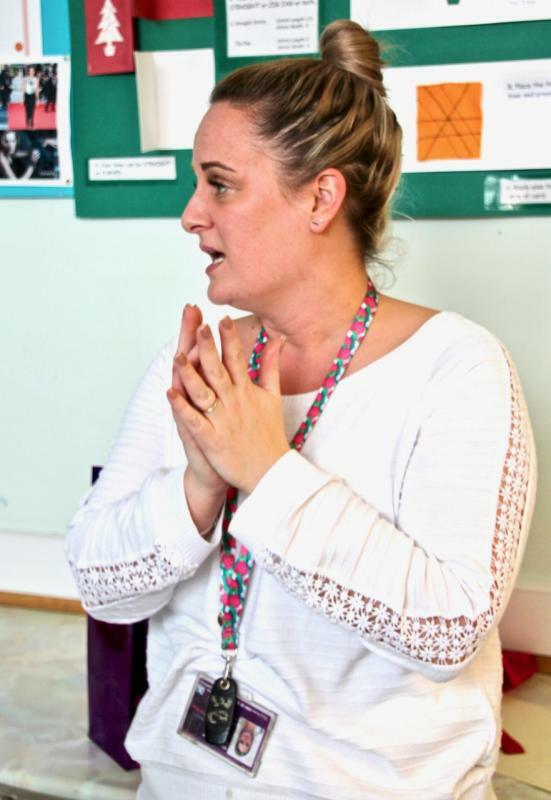 Eight students participated from Lockerbie, Moffatt, Annan, Dumfries and Kirkcudbright. 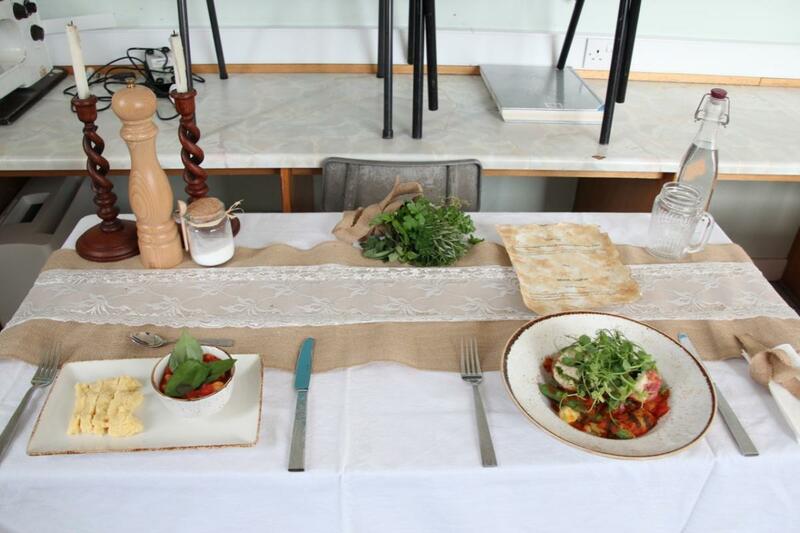 The winner was Maya Johnston and runner up Stephen Dale-Sunley, who also took the best table setting, both from Kirkcudbright Academy. Both go through to the District Finals.